In my upcoming book I present something I have labeled as “The Dobzhansky Template” for finding the core theme or message of a narrative. 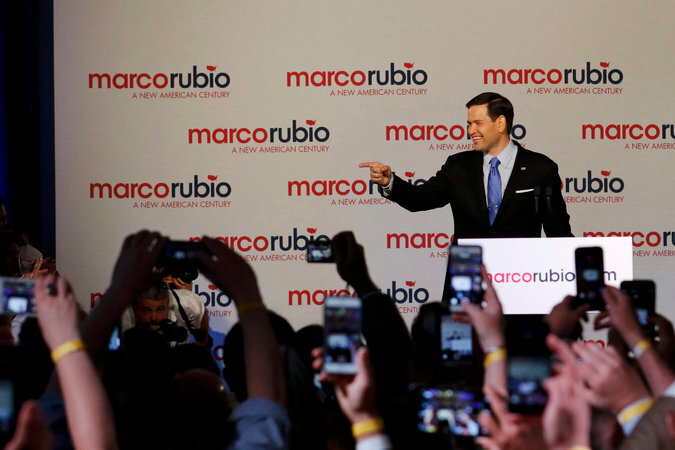 Marco Rubio gave a speech yesterday that felt almost like he had used the template. It was a model of clear messaging. I’m not a fan of Marco Rubio (the dude’s a climate skeptic for starters), but he showed the kind of aggressive messaging that the right wing is so adept at in a speech yesterday, labeling his opponent, Hillary Clinton, with exactly that word — “yesterday.” Here’s what he said. RUBIO: Just yesterday, a leader from yesterday, began a campaign for president by promising to take us back to yesterday. Skillfully done. And kinda funny, too. In our Connection Storymaker Workshop of the past 5 years we developed the idea of a template for finding “the one word” at the core of your narrative using the famous quote from geneticist Theodosius Dobzhansky (“Nothing in biology makes sense except in the light of evolution”). Nothing in _____ makes sense except in the light of _____ . And here’s the template as Rubio would have used it. Nothing in HILLARY CLINTON’S CAMPAIGN makes sense except in the light of YESTERDAY. The object of messaging is that once you figure out that one thing — you hit the note over and over, from a variety of angles. As Rubio did in a single sentence. I’m not sure about the rest of his speech, but he could easily have continued hitting that message in multiple ways — always coming back to the bottom line — that his opponent is out of touch with today. It’s a very simple and fairly harsh label to put on her, but that’s how it’s done by the big boys — creating the frame around their opponent before the opponent can create their own frame. Whether it sticks remains to be seen, but for now, it was a model effort for how a challenger takes on a superior opponent. It’s also a cue for her to swing back, which she hopefully does with equal skill.